Now I’m in the school friends stage and will be here for another few years as my kids finish out their lower grades. I have met some pretty stellar woman in this stage of life and can say with certainty that many of us will be friends for life. 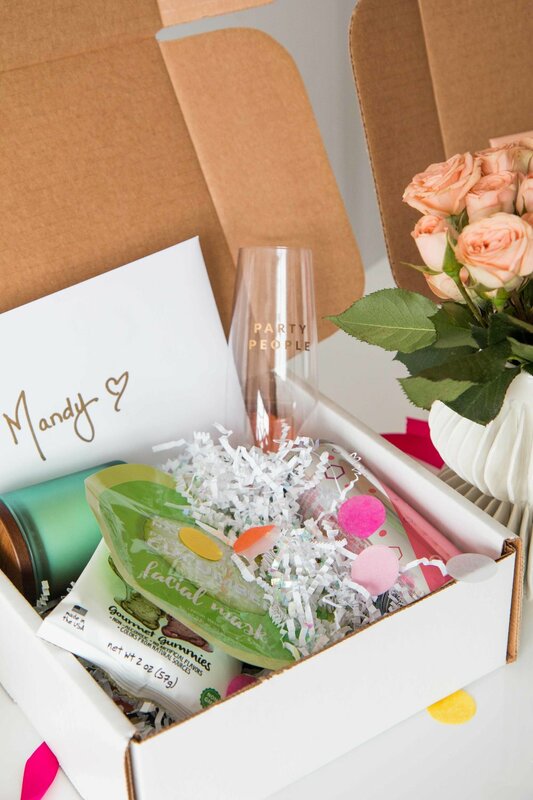 That's why, this Mother's Day, I chose to celebrate some of these ladies in my life with a gift box—complete with a gorgeous card from American Greetings. With Mother’s Day approaching, I am starting to plan a special gift box for a few of my mom friends to show them how much I appreciate our friendship. 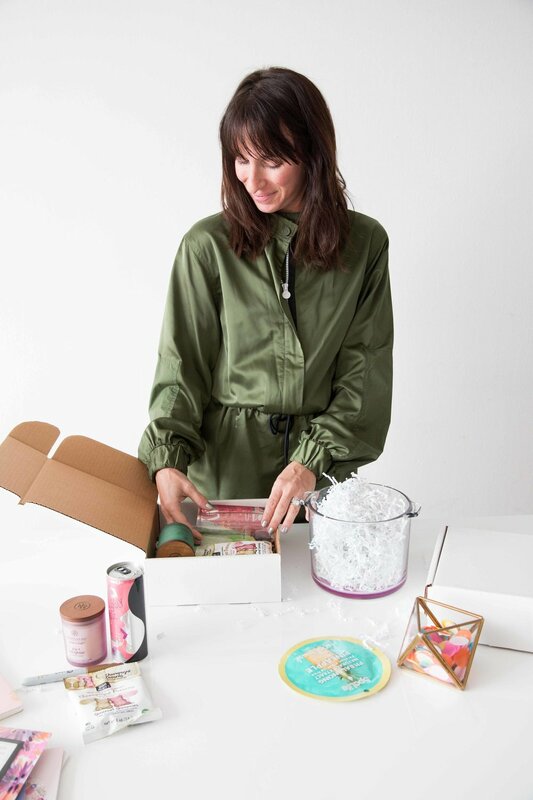 Knowing they will get the cliche gifts from their families like flowers or breakfast in bed, I wanted to come up with a thoughtful assortment they can use to truly indulge and unwind with. My favorite spot to shop for gifts is Target and lucky for me, there is one very close to my apartment in the city now. I strolled on over to see what I could find and picked out some darling items such as gold pineapple notebooks, a face mask, a delicious smelling candle and champagne gummy bears. 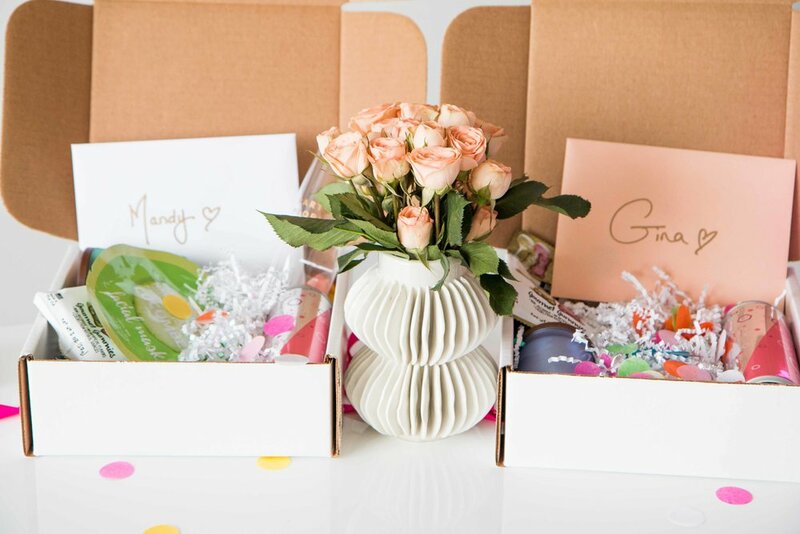 For each of the gift boxes, I chose a special American Greetings Mother’s Day card to write a heartfelt note on. These cards are so easy to find in the card aisle and so perfect to pick up when you're grabbing some Mother's Day goodies. Be sure to check out how to save on a card this year with the Target Cartwheel offer, and then find some inspo on what to write with some help from American Greetings! Naturally, as I do when I wrap gifts and write cards, I poured myself a big ol’ glass of vino and got to work. My cards were touching and my gifts wrapped up perfectly in small white boxes. This Mother’s Day, there’s no doubt I will make my friends smile.